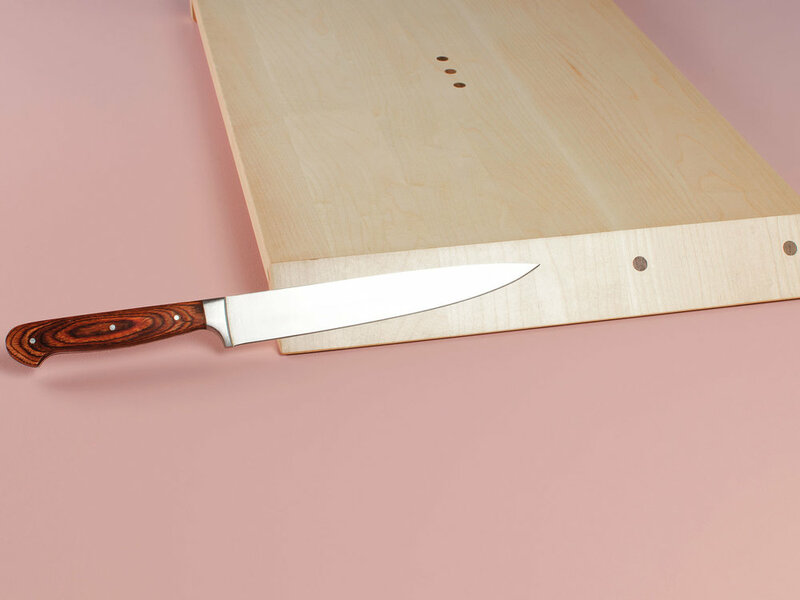 Made from hard maple, this design wood board has a particularity: magnets that can hold your chef knife. Maple is naturally antibacterial and will resist knife scarring. Very light and easy to move, this wood board is a unique kitchen tool. Simple and unique (you will not find such a thing elsewhere), this chopping board is a design object difficult to achieve. Magnets must be hidden under the wood and angles increase the complexity of assembly. The seven points are black walnut inlays used to locate the magnets.